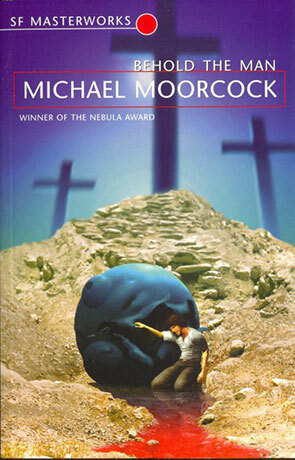 Behold the Man was originally written as a novella in 1966 and won the Nebula award for best novella. It was later expanded into a very slim novel in 1969 — although at 128 pages it could still be considered novella length. Gollancz has quite rightly chosen to include it in their SF Masterworks Collection. It tells the story of the troubled Karl Glogauer, a 20th century missfit who manages to become guinea pig for a time travel experiment, choosing to go back to AD28 — to seek out The Christ. Surviving a tough "landing" which wrecks his only means of returning to his own time he is nursed back to health by John the Baptist and his "Essene" sect. The story jumps between Glogauer's own past and the relative of AD28. As the novel progresses we build up a picture of just who Glogauer is. The resulting story is an exploration of the very foundings of Christianity, how the beginnings of one of the worlds largest religions is largely build on very thin details of Christs life. A 2010 demographic study carried out by the Pew Research Center estimated that there were a total of 2.18 billion Christians around the world — a third of the population. It is quite incredible to believe that such a huge religion could be based on sketchy facts re-written over the centuries. Moorcock asks the question, what if the details of the foundation of Christianity are wrong? I can imagine that this story could cause some to see it as blasphemous, especially 50 years ago — although any religion that cannot hold up to scrutiny or argument is inherently flawed. Glogauer is the perfect flawed protagonist, like most people he isn't perfect with a troubled upbringing and is full of self-doubt — and yet manages to move through all that, following a path that he knows will lead to his death. I will admit though that many Christians might take exception to the idea of the role he plays in the novel. Some of the best ideas are those that cause contention and this book is no exception. It has aged better than many SF stories of the 60's, apart from the fact that the "future" of 1970 was also now some time ago there is little description of technology or fashion except for events of the past. Behold the Man is a brave, clever book that pulls no punches and is told in a simple, uncompromising style. Science Fiction at its most elegant. Written on 10th February 2016 by Ant.